Cheryl Cole apparently DIDN'T mime during her Britain's Got Talent performance! Cheryl Cole apparently DIDN’T mime during her Britain’s Got Talent performance! Cheryl Cole has been accused of miming during her performance on the Britains Got Talent 2014 final. The recently announced X Factor judge sang her new song Crazy Stupid Love, featuring Tinie Tempah where the rapper joined Cheryl on her performance on Saturday’s live show. However, many people took to Twitter to complain about her apparent miming which came about after Ant and Dec had to provide former Girls Aloud star with their microphone to speak despite her having her own to sing with for the duration of the song. A spokesperson for Cheryl was quick to defend the star, insisting that she did sing live stating that she had ‘additional backing vocals on the chorus’. Her new single ‘Crazy Stupid Love’ is released on the 22nd of July. X Factor 2014: Cheryl to pre-record her live performance for results! 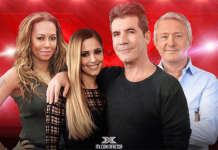 X Factor 2014 – 1st Live Show: Celebrity Performer and Theme Revealed! 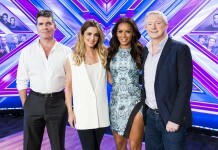 X-Factor 2014: Judges’ categories revealed! The X Factor planning to air THREE nights a week to beat Strictly! The X Factor 2014: WATCH: Reece Bibby wow the Judges! X Factor 2014: Amy Connolly returns and so do the tears!